The main focus of InstaForex Group is top-level financial services, which it has offered its clients since 2007. Today, the company's clients are over 2,000,000 individuals and corporations. 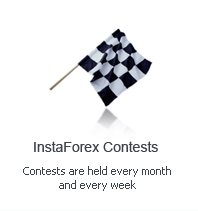 More than 1,000 traders, eager to invest in forex and stock markets, open trading accounts with InstaForex daily. The international network of InstaForex has over 260 offices all over the world, the majority of its locations is in Asia where the broker has already achieved the brightest results. For three years in a row, InstaForex has been named the Best Broker in Asia by the British magazine World Finance; it is the prestigious award in the financial world. Moreover, InstaForex became the winner of such rewards as the Best Retail Broker, Best Forex Broker Eastern Europe, Quality Customer Service Award, and others. You can find the full list of awards on instaforex.com in the section Awards.